I got my first DSLR, a very trusty Canon EOS 600D (T3i) as a gift from my father and brother in 2011. Motivated, inspired and tutored by my elder brother and YouTube, my voyage toward the ‘life changing’ event of my life began. In 2011, I was still studying in Aljamea-tus-Saifiyah, just beginning my ‘senior’ years in the academy. With some luck and a little bit of clout, a ‘single room’ was appointmented to me for the year as my abode. For those who are unfamiliar with the Aljamea dormitory-life, the single room is a haven for a student, especially for the one who is just entering student-life-senior-hood. The single room meant noone to overlook me and noone for me to look after. Although it tends to get very boring and dangerous at times because there is no one to wake you up when you tend to sleep in, however, at that point in time, it meant freedom. Plus I had awesome friends who would accompany me during thick and thin. The single room is where it all began. I had all the time and freedom to experiment my new toy - the Canon T3i. The driving force behind all this was an idea and a vision to create a short film for Aljamea that could be answer a question that I had been asked infinite times during my years in Aljamea: How do you pass your day in Aljamea? Since way before I decided to get a DSLR as a gift, the vision of a short documentary about Aljamea was quite clear in my mind. And to my luck, with the help of great friends and teachers, the filming began and came life a project called ‘A Glimpse of Paradise’. It took me an ugly 3 months of filming, planning and editing the very basic, raw, amateur documentary for Aljamea. But the process and exposure I gained, and the opportunity and support given to me at that time, changed my life. 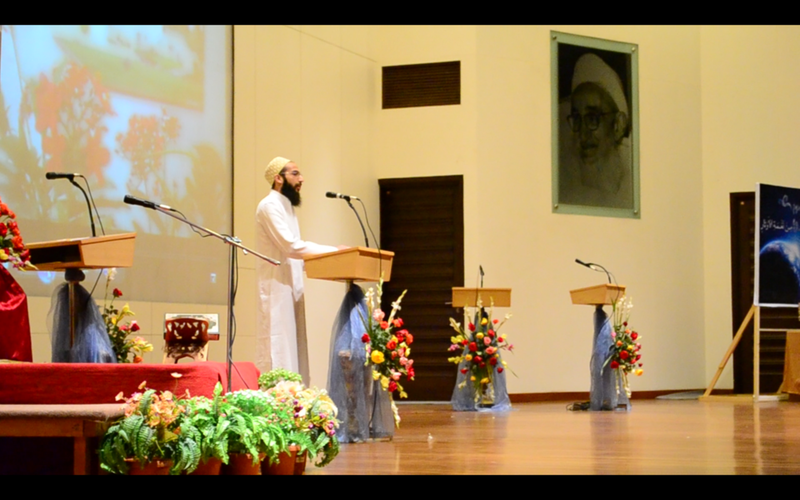 I had the opportunity to screen the documentary in the Auditorium of Aljamea-tus-Saifiyah for an audience of over a 500 strong. But that was just the beginning. To this day, A Glimpse of Paradise is screened for students and parents during the admission/orientation every year. Fast forwarding 3 years, in 2014 I bought my first and very trusty full frame professional camera (even though I don’t call my self a professional photographer/videographer) the Canon EOS 5D Mark iii. I was fortunate and lucky to be the youngest sibling who would gets to use all the toys. In that process my brother, Mohammed Daud and I have gathered quite a bit of lenses and often share them. We even did and sometimes do some crazy DIY projects when we're together. All of the above, and a lot of support from my father, family and Aljamea, i've been lucky again to get admitted to Toronto Film School, where, for the first time in my life, i'm officially learning about the art of photography and cinematography. I think I've bragged enough about myself today. More on me later. I want to start writing about my experiences in photography and about the gear i've been able to use so far in my life. So keep an eye for the upcoming blog posts. I will try to keep things as visual as possible. Here are some visual treats for surviving my beautiful, poetic monologue.